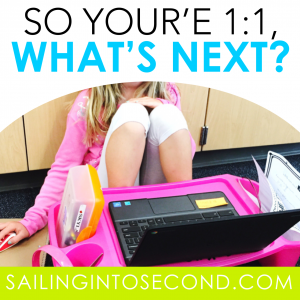 So your school has gone 1:1 with technology…now what? I asked myself the same question when we first launched our Chromebooks for 3rd-12th grade in our school district 3 years ago. It was scary and exciting, but I really didn’t know what to expect. I spent a few weeks before our implementation reading tons of articles, and pinning things about 1:1 classrooms. When we finally got the Chromebooks, it went surprisingly well. It wasn’t all sunshine and rainbows, but it truly changed the way I teach and how my students learn in my classroom. Below is an honest post about my experience in a 1:1 technology program. So what did it look like in my classroom? Well, the first few weeks were filled digital citizenship lessons and modeling. LOTS of modeling! Did I mention modeling? Even though most of my students were already very tech savvy, I still needed to make sure they understood the purpose of having Chromebooks. I also wanted to make sure they were ready to be good digital citizens. I started out with a digital presentation on five key points on digital citizenship: RESPECT YOURSELF, PROTECT YOURSELF, RESPECT OTHERS, PROTECT OTHERS, and RESPECT INTELLECTUAL PROPERTY. 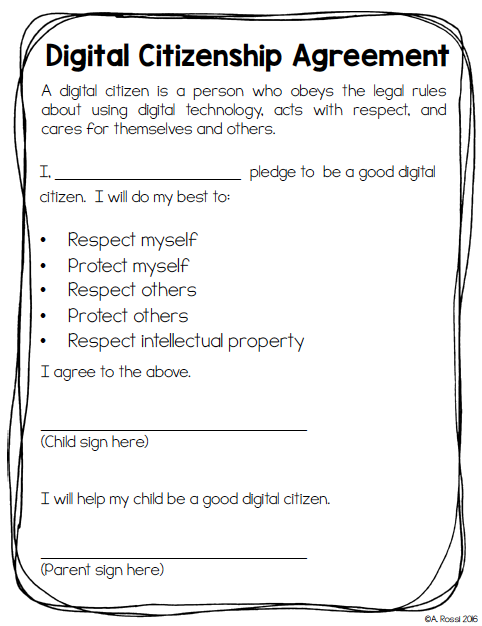 Once we brainstormed what each of those points would look like in our classroom and at home, they signed an agreement to with the five conditions of being a good digital citizen. My students were not only going to have access to their Chromebooks at school, but they were also able to take them home every day like they would take home a textbook. I wanted to make sure my expectations about digital citizenship were CRYSTAL clear. Our first few tech lessons were on navigating the Chrome browser, signing up for Google Classroom, and even creating Google Docs. I’ll have a post on those free mini-lessons later this summer. Each lesson focused on learning new digital skills. They definitely helped my students start their 1:1 journey on the right foot! How did I manage to make sure my students were learning effectively without having me policing the sites they were on? This was, and continues to be the toughest part of being 1:1 for me. Most of my students understand that using the Chromebooks in class is for LEARNING. That means they work on assignments, do research, work on Genius Hour projects, collaborate with their peers, work on their writing, code, practice their typing skills, etc. However, there are some that think Chromebooks are for playing online games whenever they get the chance. Don’t get me wrong, I think educational games can be really valuable for kids. I mean, have you seen how excited they get over Nitro Type? But there is a time, and a place for learning games. My kiddos sometimes struggle with knowing how to balance learning and online fun. So what’s worked for me are tech tickets. I created tickets that my students can buy from my student store that allow them time to access some of the learning games I’ve approved. Below, is an example of what I use as tech tickets. You can grab these for free by clicking on the image below. The kids earn classroom money for being scholars, and then they can use that money to purchase these tech incentives. 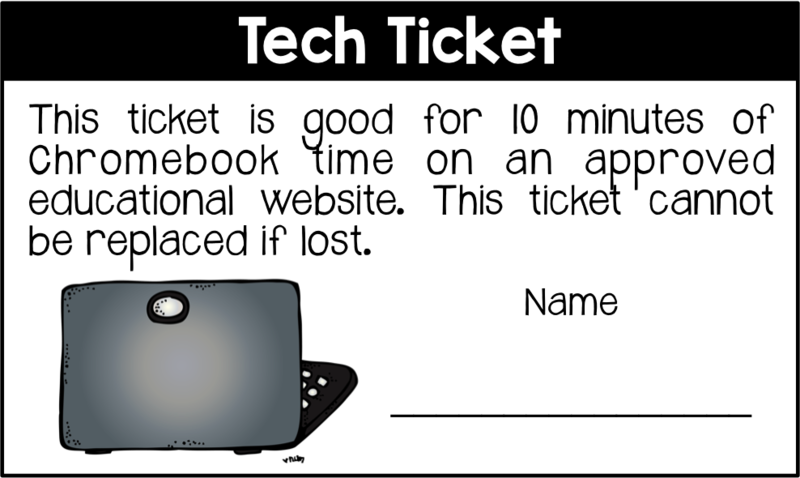 They know the tech tickets can’t be used during instruction or group learning. They can only be redeemed when they have completed all of their classwork/assignments. How did my students take responsibility for their own learning? I truly feel my kids have embraced 21st-century learning opportunities through the implementation of 1:1 Chromebooks. They’ve dabbled in genius hour and collaborative projects throughout the year. Through those opportunities, and a flexible learning environment, they’ve thrived as scholars. They can work independently around the classroom, or work with their peers. This flexibility requires a lot of modeling, freedom, and trust. My students know I will hold them accountable for what they work on. 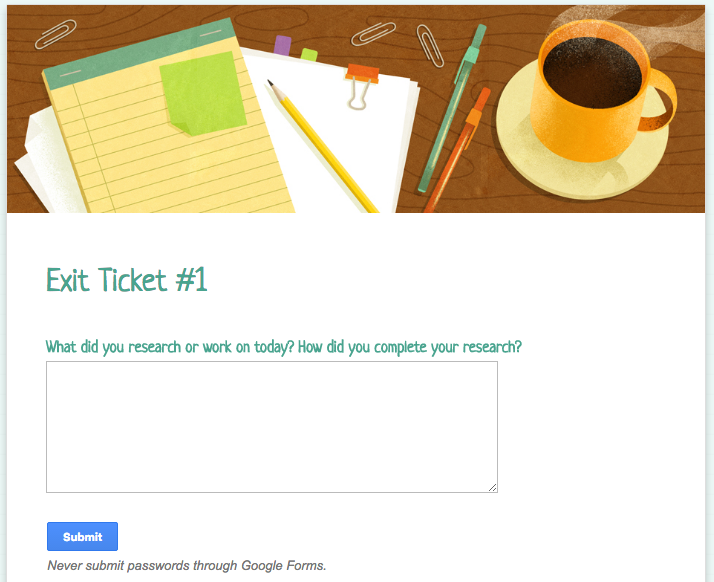 Reflection exit forms on Google Forms are what I use most often. These allow my kids to give me a quick snapshot of what they accomplished or need more support with. Teachers work diligently to reach each student by using a variety of teaching strategies and resources. 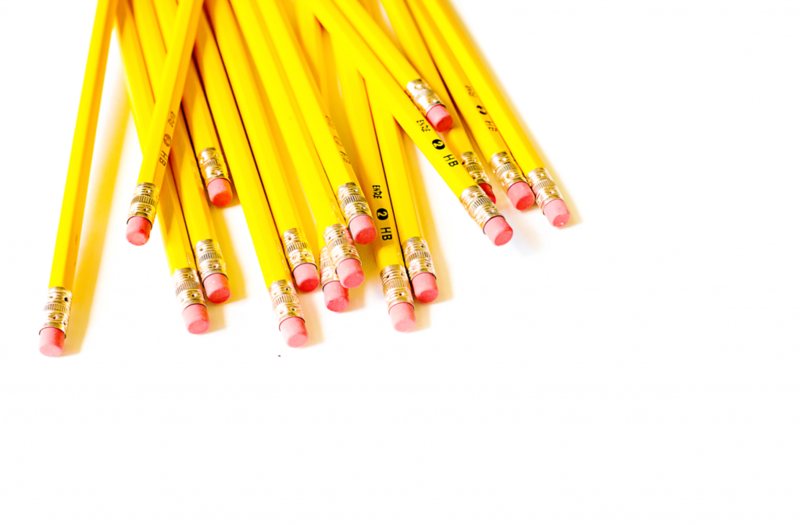 However, not all students learn the material in the same amount of time. We know it’s just not that simple. With 1:1 technology, the way we deliver the curriculum or content can be differentiated. Students who need to be challenged are able to expand their knowledge and skills, while students who struggle can use the 1:1 technology to meet their individual learning needs. With Brain Pop, Khan Academy, and Ten Marks, I’ve been able to push out assignments or instructional videos so my students can work/watch them and come to small group prepared to ask questions. Here’s what I love about this flipped/blended approach. With this model, teachers can record a lesson that students can watch for homework. Then students can spend class time practicing that concept until they demonstrate enough proficiency. I recently learned about the site EDPuzzle and can’t wait to try it out with my kids next year. EDPuzzle has a wide range of videos on a topic. You can assign these videos on Google Classroom. They are self-paced interactive lessons, where you add your voice and prompts/questions along the video. The neat thing is that students can’t continue with watching the video until they answer the questions/prompts. Teachers can even see how many times a student watched a video. How cool is that? The power of 1:1 is awesome! I hope this post gave you a glimpse into my experience going 1:1 with Chromebooks. It’s still a work in progress and I am learning along the way. What tips do you have for teachers who are thinking of going 1:1 or have implemented this learning model? When I taught virtually, I know that the citizenship was a big issue. Students truly don’t understand academic integrity, because they are always sharing things digitally! I think your citizenship ideas might help students understand better what is allowed and what isn’t.